I'm love Barbie the fashion blogger more!!! Love your outfit! hahaha, Sisi Yemmie, I am at her mercy right now o. She is really confident and so vibrant. I like the outfit. No too much senrenre (simple yet classy). Lol. The cobalt blue shade looks so nice on your skin tone. Very nice look and the heels are pretty too. Barbie!!!! Nice one here. 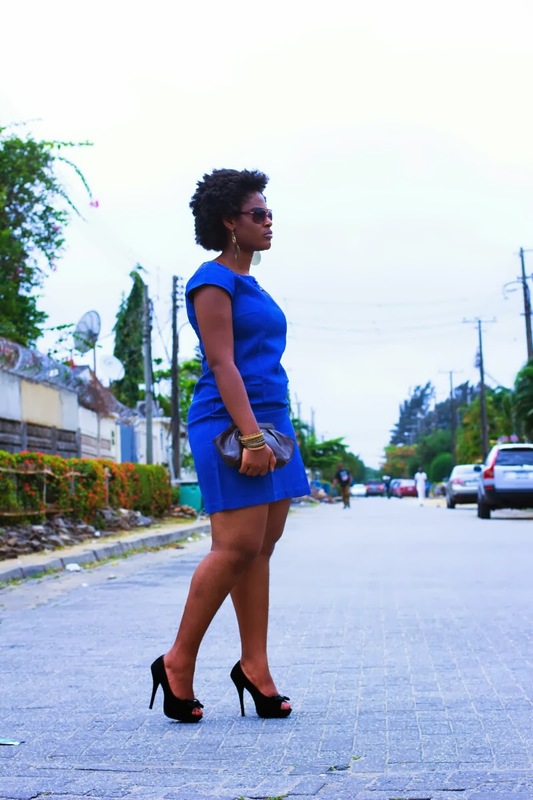 Incidentally, few weeks back, I did a post on the cobalt blue trend! 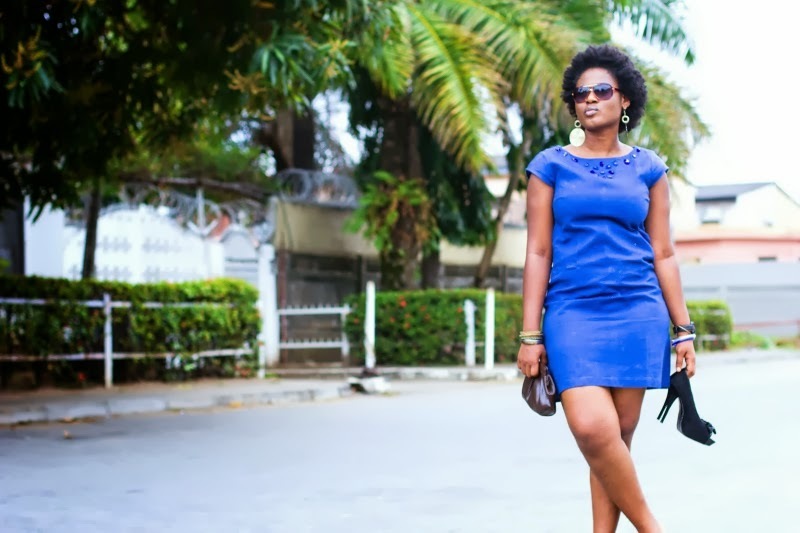 And here's Barbie rocking her cobalt blue ensemble effortlessly - showing her African beauty. At your leisure, check out my blogazine: PassionistaHub.com for the style tips! Oh lest I forget, lovely peeptoe heels too!!!! !